At Lillstreet Art Center we have studio spaces with over 45 different artists. Artist Studio's are open to the public, so stop by and see the amazing artwork made here! Lillstreet Studios are a unique community of more than 35 artists working side-by-side on the second and third floors of the Lillstreet Art Center. We offer group, semi-private, and private studio spaces for ceramic artists. Gas, electric, and soda firing are all available (kiln fees are charged separately), and glaze materials are available for purchase at the center. For more information or to apply for a studio space, please contact Bruce Robbins via email at bruce@lillstreet.com. Looking for a place to create with more privacy but not quite ready to venture out on your own? 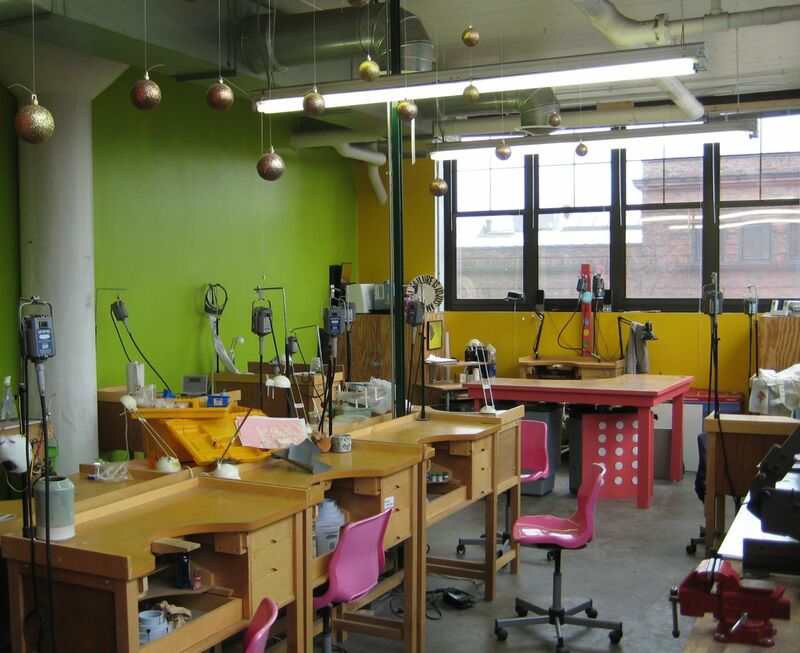 The Group Metals Studio is a great opportunity to work in a more private space. With 24 hour access, the studio is equipped with jeweler's benches, flexible shafts, a rolling mill, guillotine shear, acetylene torches, drill press and an assortment of hammers, dapping punches and metal blocks. Studio members provide their own hand tools. Benches are available for $200 per month. To apply, please contact Pam Robinson at pam@lillstreet.com.